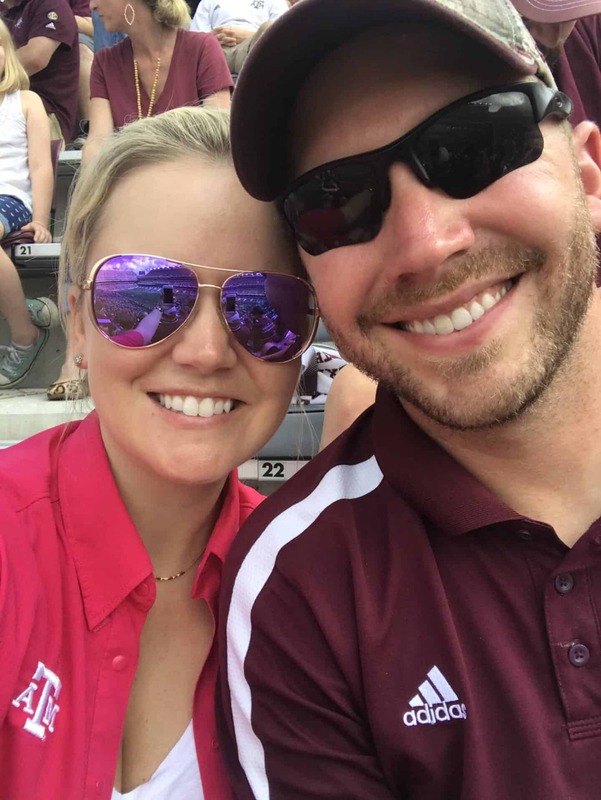 Jon Boy and I finally snuck out of the house [sans the toddler] to head back to our Alma Mater: the one and only TEXAS A&M! One of his clients has season tickets, so we scored tickets to the A&M vs. Auburn game for face value. I’m not gonna lie, the game was pretty brutal. Our boys are on the struggle bus to put it lightly, but Jon Boy and I just loooooved being back in College Station. I wanted to share some of the highlights of our trip down memory lane. One of the MAJOR perks of living in Houston now is that it takes us just an hour to get to College Station. That’s way better than the 3 1/2 hours it used to take from Dallas. That meant we could get to the game a little* early, walk around, then explore the campus after the game without rushing or having to get a hotel. Whew – okay. To continue with the better part of the day: we drove through Navasota, TX to get to Aggieland. We went a back route we hadn’t gone before (thanks, Waze! ), and I saw this adorable coffee shop. I love seeing old downtown buildings being refinished and repurposed into beautiful things. I love that way more than brand new developments because of the character the older buildings have. Kyle Field y’all! It was so glorious to be back. We hadn’t seen the stadium since it underwent its massive renovation. It’s HUGE (say it in a Donald voice). Also – it was definitely the ‘Maroon Out’ game. This little piggy didn’t get the memo, hence my hot pink shirt. I stood out just a bit. 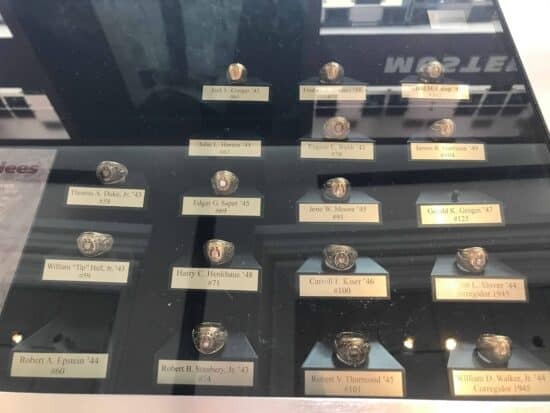 One of the best perks of visiting Aggieland was the chance to see my sweet brother’s Aggie ring. His ring is the memorial ring for the Aggie class of 2016. 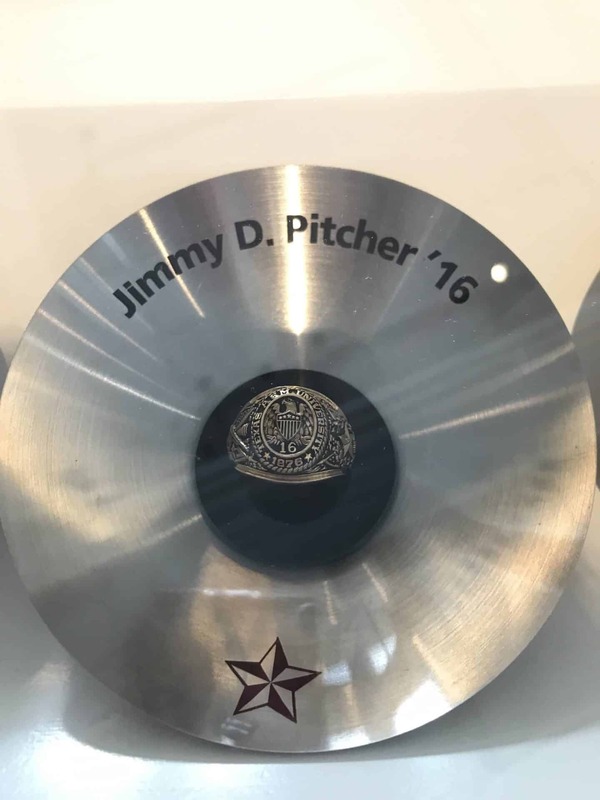 It’s an honor I really wish we didn’t have, but at least now part of Jimbo will always be in College Station. It was the first time I’d seen his ring on display, and it was quite an emotional moment. 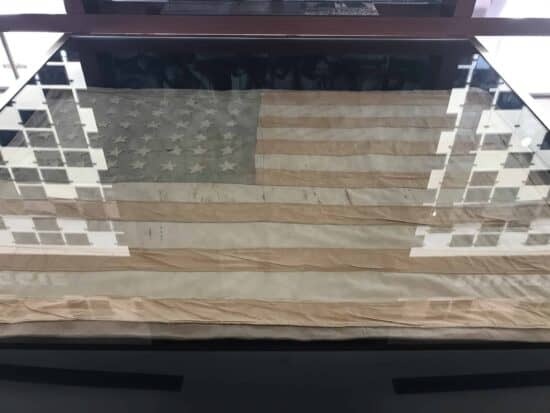 The display as a whole is extremely moving, but to see his ring there was pretty pineapple (click the link if you don’t understand my wacko lingo). 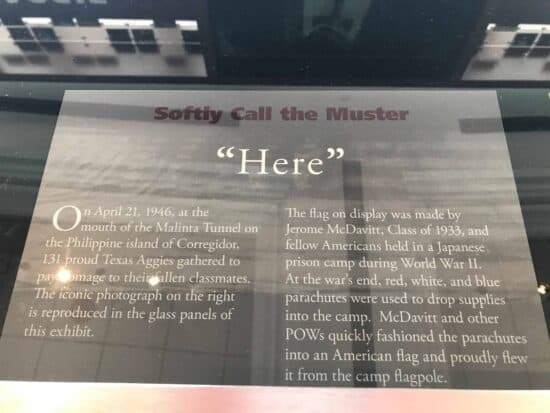 We attended the annual Muster where Jimmy was honored last year (2016). 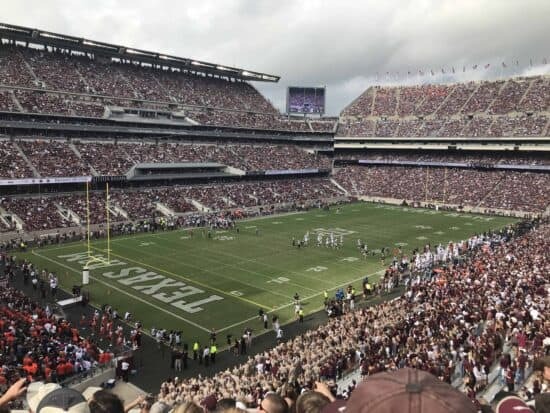 If you don’t know what Aggie Muster is, it’s an annual gathering of Aggies all over the world. 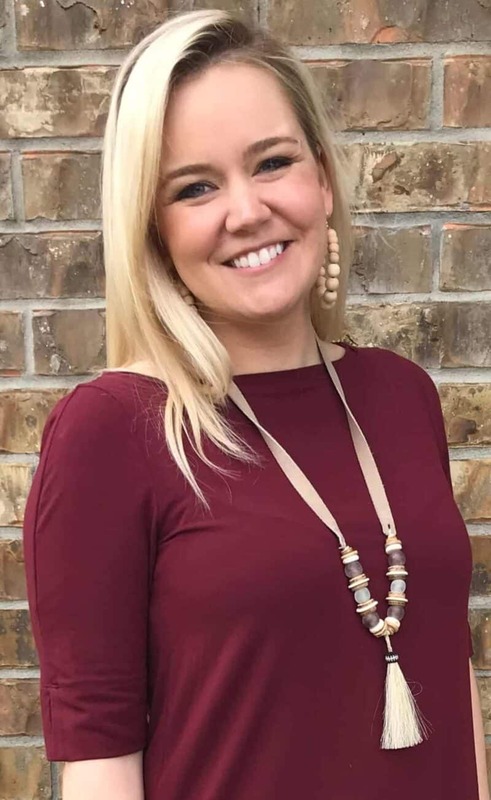 It’s where we honor those Aggies who have passed within that previous year – Aggies of all ages, accomplishments, life stages, etc. It’s celebrated not only in College Station, but literally around the world. We all answer, “Here” for those Aggies who cannot answer the roll call themselves. I had the [very difficult] privilege to answer “Here” for Jimbo last year. It was a beautiful, painful moment. I’m just so grateful to be part of the Texas A&M family. It’s truly a Spirit that Can Ne’er Be Told. 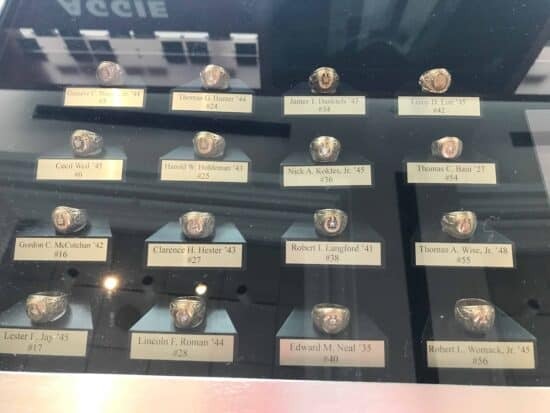 The Aggie rings for the fellas at that Muster. 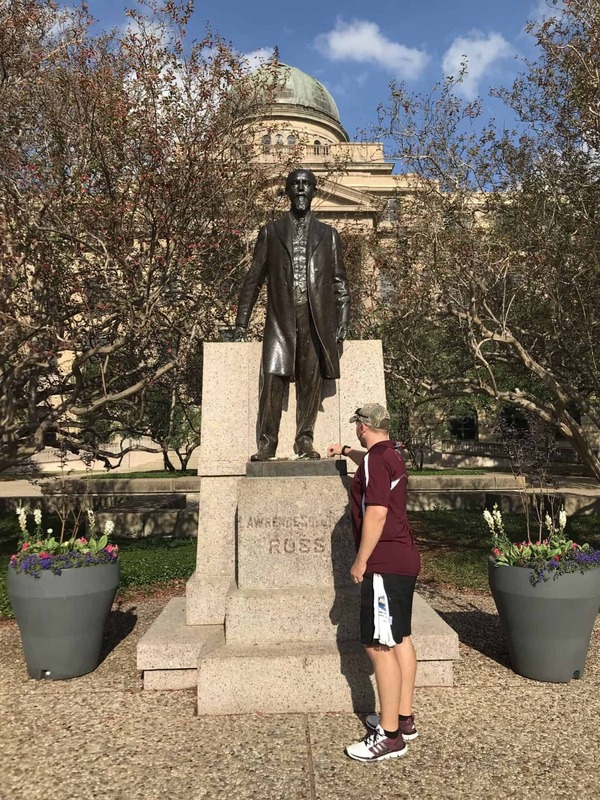 Another Aggie tradition: Putting a Penny on Sul Ross. Read more about that here. 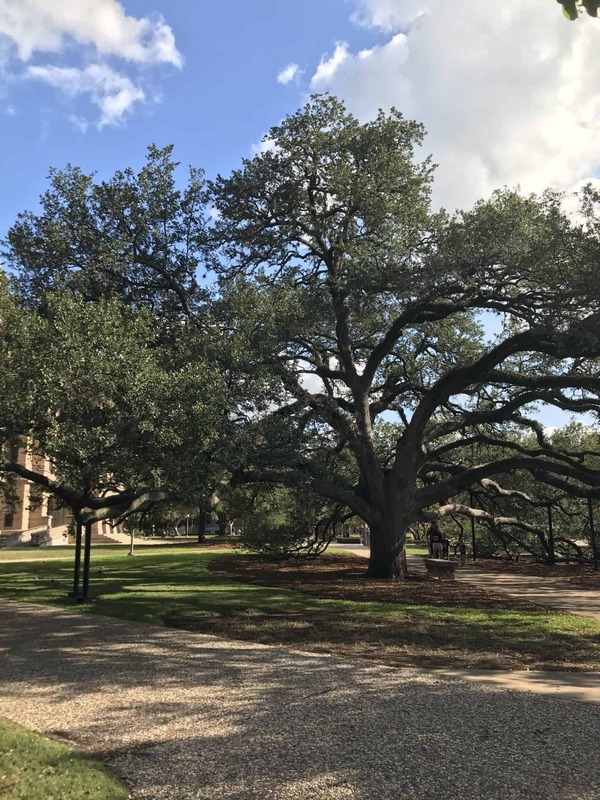 Another great Aggie tradition: The Century Tree. It’s said that if you walk under this tree with your sweetheart, you’re destined to be married. If you get engaged under this tree, it’s said your marriage will last forever. Needless to say, I made Jon Boy walk under it just for good luck. It’s such a beautiful part of our campus no matter what you believe. 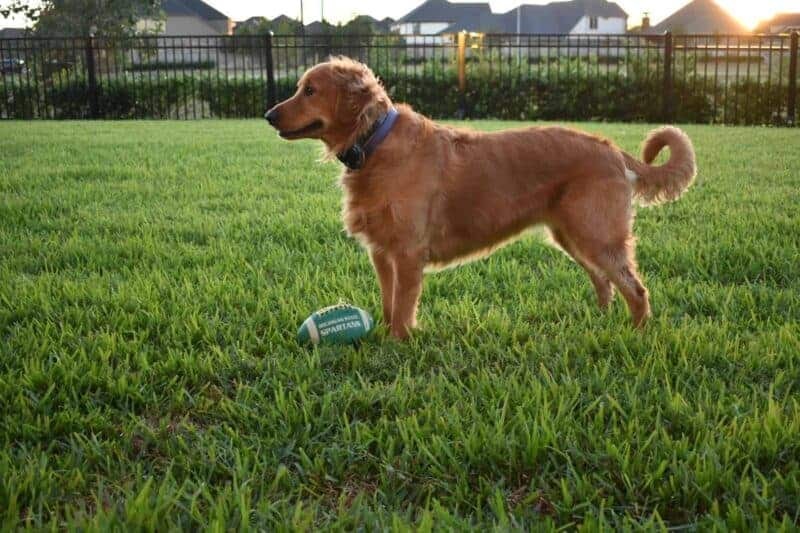 This isn’t necessarily an Aggie tradition, but more of a Lilly tradition. Most college campuses have THAT pizza place that everyone loves (at all hours of the day + night). 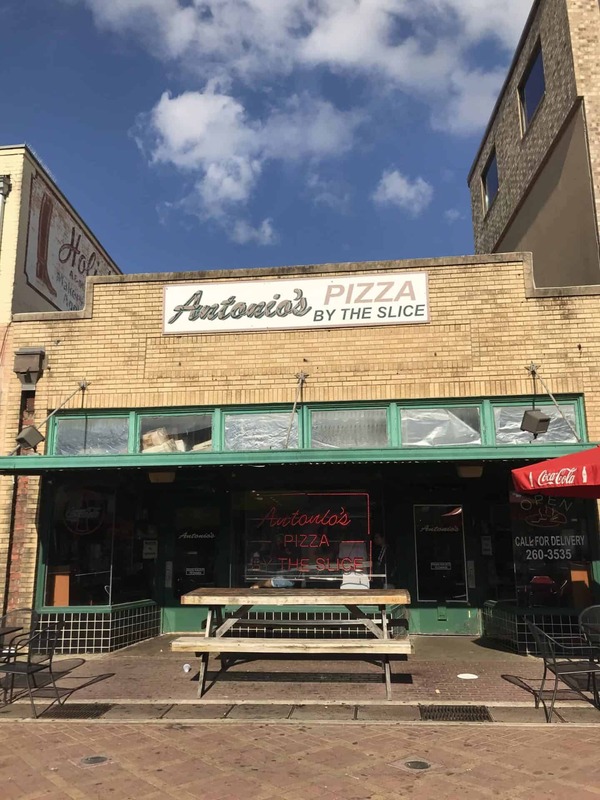 Antonio’s on Northgate is THAT pizza place (for me anyways) in Aggieland. 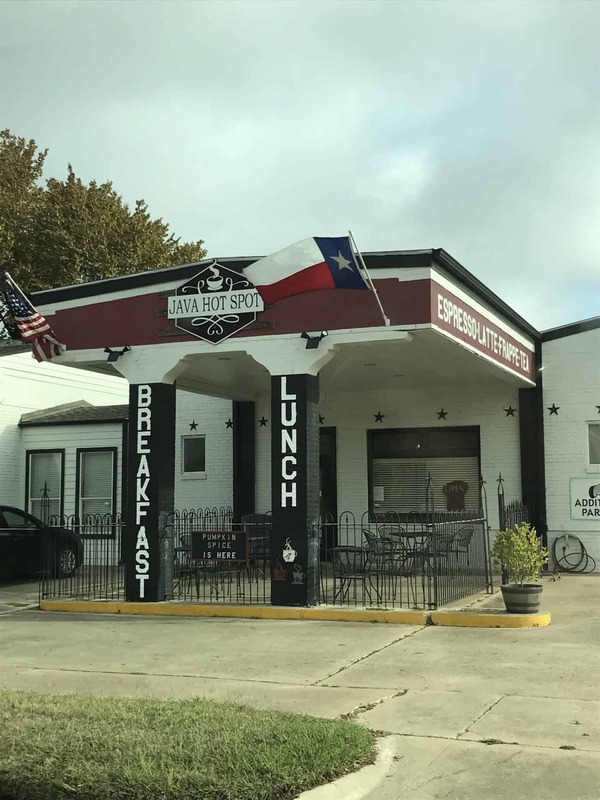 My friend and I used to always go there no matter how much time we had while visiting College Station. You can get any kind of pizza slice you’d imagine: enchilada, taco, BBQ, pineapple + Canadian bacon, regular ole pepperoni, etc. I’ve never had a bad slice, and I’ve had quite a few from this gem. 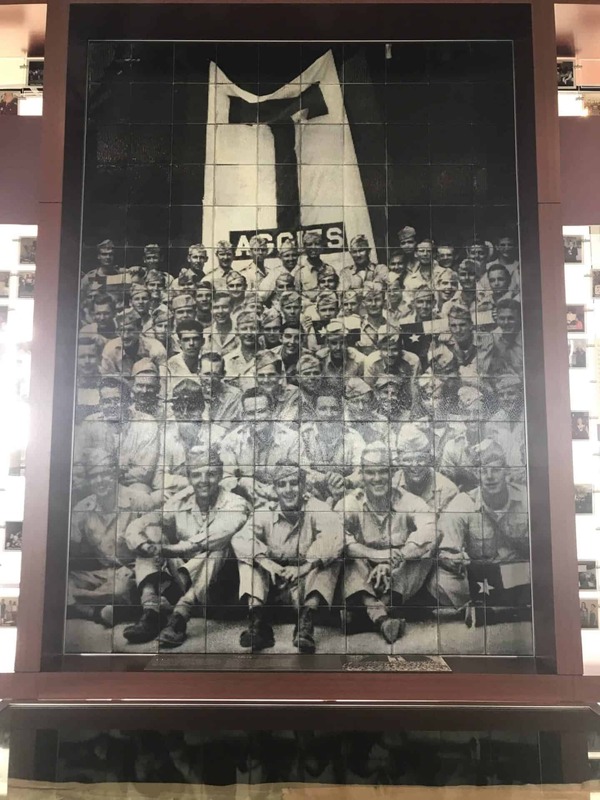 Sarge’s Army Navy: the epitome of Aggieland + the Corps Life. Sarge’s has made the Corps’ senior boots for years and years and years. 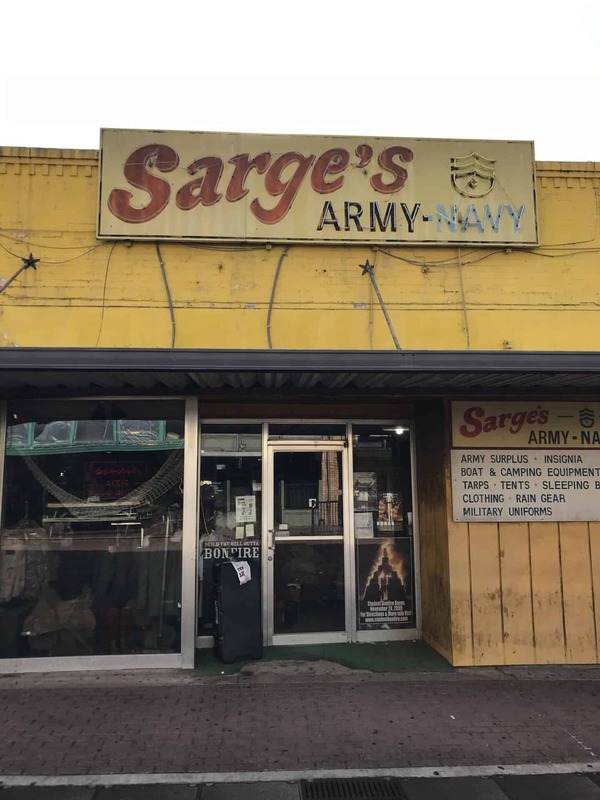 I’m not sure how everything goes down these days (feel free to fill me in if you know), but it’s such a piece of nostalgia to walk by Sarge’s and see that NOT a thing has changed. FYI – for all past, present, and future Aggies – THERE’S AN APP FOR THAT! 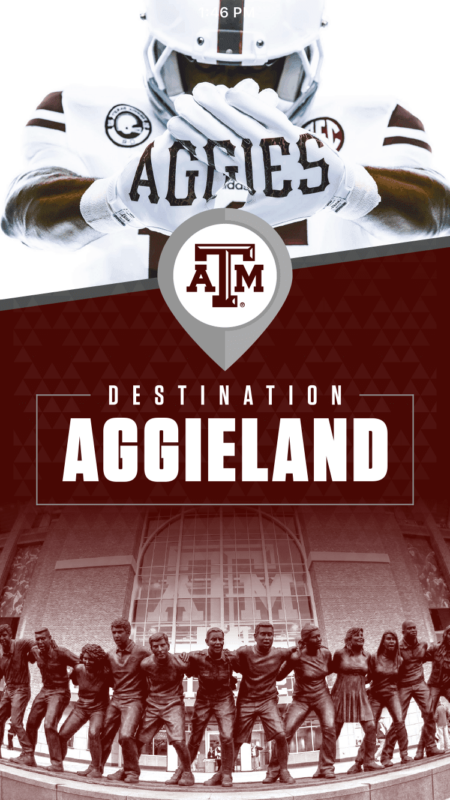 Destination Aggieland is an awesome app I found while we were on our way to College Station. With such a short time to get in town, find parking, and walk to the game (thanks to the sneaky, slithery friend I mentioned before), we needed to have parking taken care of beforehand. So, I googled “Aggie Football Parking” and this bad boy popped up. I downloaded the app, and I’ll be using it every time we go back to Aggieland from now on! It tells you where to park, sit, directions, and the basic ‘what to know’ for ALL Aggie sports. We even BOUGHT OUR PARKING through the app. We just had to stop at a UPS store to print it on the way in town – it took 2 minutes and 56 cents. LOVE this app! 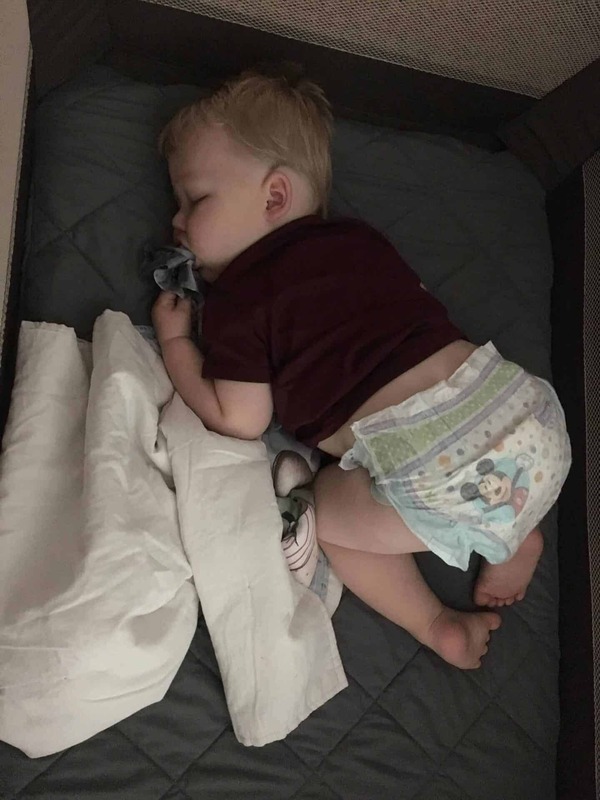 Meanwhile, in H-Town, Big Man was LOVING his time with his sweet aunts! 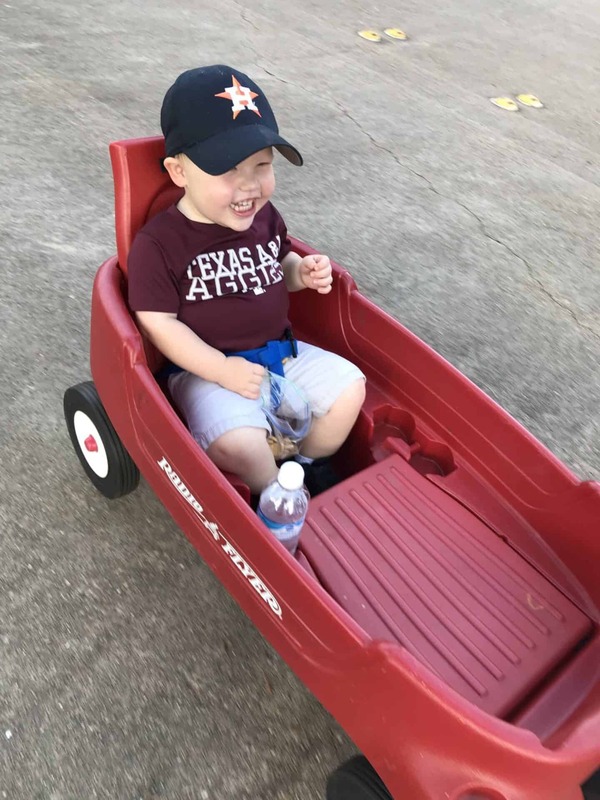 He discovered the joy of the wagon (+ the joy of being pulled really fast by his aunts). That grin makes me melt. Also that belly. 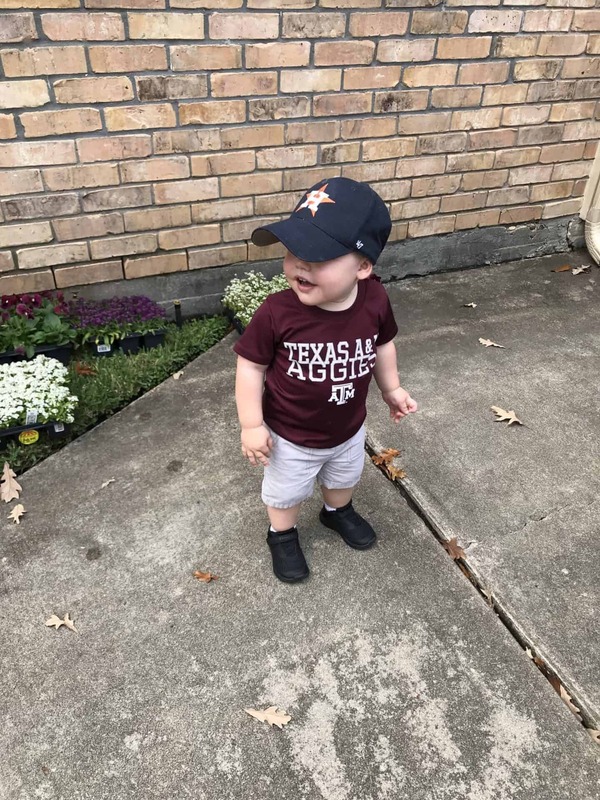 That belly + that Aggie shirt are everything that’s right in the world. The snacks help, too. And the super grimy Astros hat. 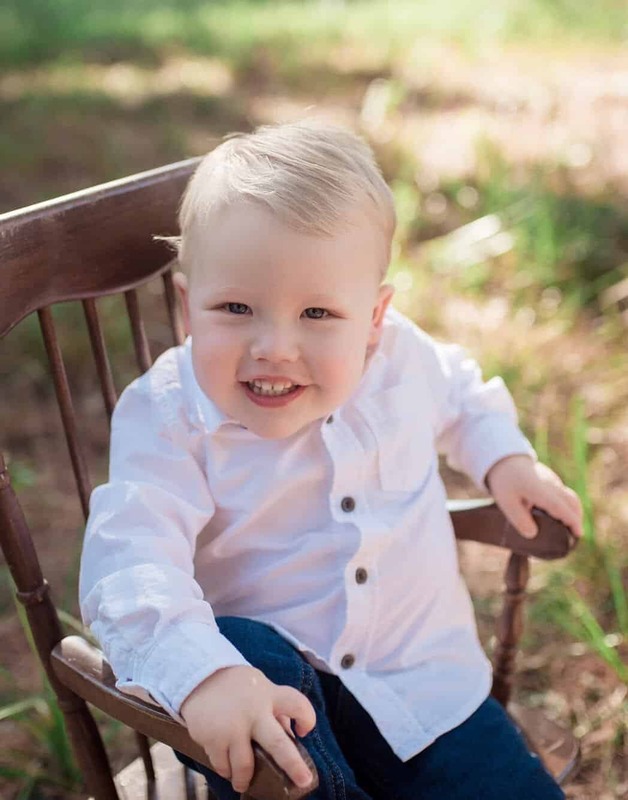 Adorable little man. I don’t think he missed us a wink. That booty in the air, too. That’s the only reason we came back instead of staying in Aggieland for good and living out all our college dreams. In other news, I’ll be walking around the garage and front yard in rubber boots with a shotgun in my hand thanks to above said slithery friend. Mama don’t play.